Patricia spent many years as a buyer in the designer footwear industry. She worked between the United States and Europe, where she cultivated a uniquely diverse design aesthetic that was inspired and influenced by the neighborhoods of Paris and Milan. Patricia’s fashion career served as a conduit to her true passion, which is architecture and interior design. She began her career in interior design by assisting Georgio Building Company with the design and selection process of their homes. In 2010, she expanded and created her own firm. PGD specializes in complete In-Home Design as well as Kitchen and Baths. Patricia Georgio Design can accommodate both modest and large scale projects. Combining an eclectic blend of period pieces, custom furnishings and contemporary selections into every project allows her to create original and sophisticated spaces that are unique to each client. This egalitarian approach to design assures a measured mix of periods and timelessness. It allows Patricia and her team to create spaces that are in balance and harmony with the way their clients live, work and play. 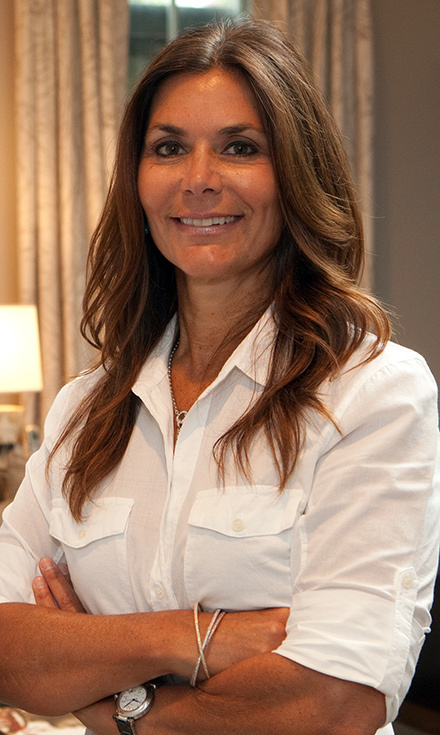 Patricia Georgio Design is an award-winning firm and has completed projects in Westchester County, Greenwich, Miami, Palm Beach, Manhattan, Dallas and Colorado. Jillian is an in-house designer who works hand-in-hand with architects and clients to create a unified vision for each building project. She brings a highly refined design sensibility to the selection of finish materials, custom design cabinetry, millwork, and specialty lighting. Jillian has significant expertise in a wide range of projects, both large and small, from custom luxury homes, to Interior Design, to bathrooms and kitchens.